Jool Invest AB has become a co‐investor in Zanders Paper GmbH. The Swedish company with subsidiaries mainly within paper, wood products and finance industries, has a clear industrial mindset and will be an active partner bringing further experience and capital creating a strong foundation for the planned growth of Zanders Paper. Zanders Paper will continue with all core products Chromolux, Zanlabel, Zanbarrier, Zanpack, Zanjet, Silver Digital and RX Nature. In addition, it is planned to introduce further grades in the coming months. Cocoa and chocolate specialist Barry Callebaut Group signed a Memorandum of Understanding with the Government of Serbia and the City of Novi Sad to construct its first chocolate factory in South-eastern Europe. The state-of-the-art facility will be located in Novi Sad/Serbia, about 90 km northwest of the country’s capital Belgrade, and is planned to have an initial annual production capacity of over 50,000 t. Total investment volume over a period of five years is projected to amount to EUR 50 m. The factory is expected to be operational by 2021. Before the signing, the Barry Callebaut delegation was welcomed by Serbian President Aleksandar Vučić. (From left:) Stojan Kemera (General Manager South-eastern Europe), Antoine de Saint-Affrique (CEO), Goran Knezević (Minister of Economy, Serbia), Massimo Garavaglia (Regional President EMEA). Cocoa manufacturer Barry Callebaut has established traceability for a third of its global cocoa volume. This is a key tool for the group to reach its Forever Chocolate commitment to make sustainable chocolate the norm by 2025. This commitment also includes a target to source 100 % of the group’s ingredients sustainably by 2025. 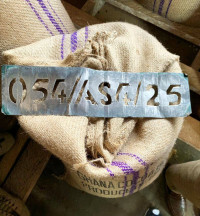 The cocoa giant has prioritized the establishment of traceability in its Ghanaian and Ivorian supply chains, the world’s two largest cocoa producers. Under the Cocoa and Forests Initiative (CFI), a multi-stakeholder initiative dedicated to ending cocoa farming induced deforestation in Ghana and Ivory Coast, Barry Callebaut committed to delivering 100 % traceability in its supply chains in both countries. In line with this commitment, the group has mapped 100 % of the farms and warehouses in its direct supply chain at risk of sourcing from protected forest areas. The company has mapped all cocoa farms within 5 km from protected forest areas and all cocoa warehouses within 25 km from protected forest areas. By the end of this year, it will have mapped all the farms in Ivory Coast and Ghana it sources from, establishing 100 % traceability for its direct supply chain. Overall, this means that 100 % of the cocoa volume sourced in Ghana and 40 percent of the cocoa volume sourced in Ivory Coast by Barry Callebaut is traceable. Establishing traceability in Barry Callebaut’s cocoa supply chain is a key tool for the Group to reach its Forever Chocolate commitment to make sustainable chocolate the norm by 2025. Orkla is expanding its acquisitions further with its latest deal to buy Zeelandia Sweden AB, a supplier of margarine, vegetable oils and bakery ingredients to the Swedish market. The deal marks the latest purchase for Orkla which continues on its acquisition trail following a busy start to the year which also saw the company buy a Greek ingredients supplier and take a stake in kombucha and vegetarian foods makers. Through its wholly-owned subsidiary Orkla Food Ingredients AS, Orkla has entered into an agreement to purchase Zeelandia, which says this decision fits within the company’s business strategy to build leading and sustainable market positions in Europe. Zeelandia Sweden AB has 60 employees and had a turnover of EUR 22.9 m in 2018. The company has most of its sales in Sweden, and exports to Finland, the Baltics and Norway, primarily selling to the bakery industry. Following the transaction, the company’s name will be changed to Credin Sverige AB, and the company will become part of Credin Group. Six months after completing the acquisition of Naturex, flavour and fragrance giant Givaudan has posted its 2019 first-quarter sales of CHF 1,525 m, an increase of 6.3 % on the previous year. The company’s Flavour Division sales were CHF 848 m, an increase of 4.3 %. From a segment perspective Beverages, Snacks, Savory and Sweet Goods all contributed to the positive sales performance. Givaudan acquired the world player in natural extracts, Centroflora Nutra, in May 2018, which contributed CHF 4 m of sales, while Naturex, acquired last September, contributed CHF 111 m to the performance in the first quarter of 2019. Givaudan says it started the year with good business momentum with growth achieved across all product segments and geographies, as well as key strategic focus areas of naturals, health and well-being and active beauty. The Flavour Division sales performance was driven by “new wins and good business momentum across all regions”. In the key strategic focus areas of the 2020 strategy sales growth continued to be strong, with double-digit growth in Health and Well-being and single-digit growth in Naturals. Lesaffre has officially opened its first Baking Center that is fully dedicated to industrial customers, where tests can be run at full scale. Lesaffre has officially opened its first Baking Center that is fully dedicated to industrial customers, where tests can be run at full scale. Located in the south of Vienna/Austria, the new centre features state-of-the-art technology on a floor area of over 600 m², which enables thorough testing of technical products and machinery ranges. The choice of machines and the layout make it possible to produce a wide range of products (Kaiser rolls, doughnuts, hamburger buns, sheet dough, co-extruded bakery products, frozen bread, etc.) in an industrial environment. Machinery will be renewed every three to four years to guarantee state-of-the-art technology on a consistent level. German confectionery retailers have started into 2019 with mild revenue growth and equally mild sales volume declines. German confectionery retailers have started into 2019 with mild revenue growth and equally mild sales volume declines. According to the latest figures from the Nielsen confectionery monitor running through week 9 of 2019, revenues increased by 0.6% up to € 2.248 bn, while sales volume sank by 0.7% down to 280,079 tonnes (basis: food retailers + drug stores + impulse channels + gas station shops + department stores). Year-round products grew revenues (+ 2.4%) and sales volume (+ 0.8%), while seasonal articles (- 29.3%; - 23.3%) underperformed significantly compared to the previous year’s figures. Salty snacks kicked off the New Year with the strongest revenue increases of 8.2% up to € 563.4 m. The category baked goods also enjoyed a prosperous start into 2019 with a revenue increase of 4.8% up to € 277.2 m. Nielsen’s market researchers registered a decline of 3.3% down to € 965.4 m for the strongest revenue-driving product group, chocolate products. Sugar confectionery suffered revenue losses of 2.1% down to € 441.5 m. A look at the development of confectionery revenues in the individual sales channels depicts growth in consumer markets (small + 6.1%; large + 2.3%), large supermarkets (+ 2.8%), impulse channels and gas station shops (+ 1.1%). Gerhard Schubert GmbH continues its positive growth trend: with an increase in sales of 7.3 % and a turnover of EUR 211.5 m, the market leader in top-loading packaging machines successfully closed its 2018 financial year. Gerhard Schubert GmbH continues its positive growth trend: with an increase in sales of 7.3 % and a turnover of EUR 211.5 m, the market leader in top-loading packaging machines successfully closed its 2018 financial year. For the first time, the manufacturer exceeded the targeted 200 million mark. The Schubert Group also recorded a strong result last year. Compared to the previous year, consolidated group sales increased significantly by 16.4 % to a total of EUR 283.9 m.
This success is not only based on the efforts of 1,332 employees, but also on a consistent growth strategy. Schubert is strengthening its activities in China with the foundation of Schubert Robotics Shanghai, while driving forward future-oriented projects in the realm of digital packaging and the field of robotics. Peter Gabriel, Commercial Managing Director of Gerhard Schubert GmbH, is very pleased: “We even slightly exceeded our minimum earnings target of seven per cent on total operating performance. In the current year, we are planning further growth to sales of 225 million euros”. The group of companies has also set itself new objectives: in 2019 it could even exceed the turnover mark of EUR 300 m for the first time. Key factors behind the steady upward trend are favourable developments in international markets and continuous investment in new technologies and innovative packaging solutions. Cargill’s cocoa and chocolate business is the first company to use Rainforest Alliance Certified coconut oil sourced through a mass balance model as an ingredient in its coatings and fillings – responding to consumers’ growing demands for sustainably sourced ingredients. Cargill’s cocoa and chocolate business is the first company to use Rainforest Alliance Certified coconut oil sourced through a mass balance model as an ingredient in its coatings and fillings – responding to consumers’ growing demands for sustainably sourced ingredients. Mass balance means Cargill purchases a volume of coconut oil from Rainforest Alliance Certified farms equivalent to the volume used in these products to help protect forests and ensure sustainable livelihoods. The coatings and fillings can be used in ice cream, confectionery and bakery applications to create more ethical products. Choosing coatings and fillings for which sustainably produced coconut oil is sourced will help improve the living standards of smallholder coconut farmers and their families in the Philippines and Indonesia. Cargill together with BASF, Procter & Gamble (P&G) and the Deutsche Gesellschaft für Internationale Zusammenarbeit (GIZ) GmbH have joined forces in development of a partnership as part of the develoPPP.de program of the German Federal Ministry of Economic Cooperation and Development (BMZ). Working together to address the challenges facing the coconut supply chain, in 2015 the joint project reached a milestone by pioneering sustainability standards for coconut – producing among the world’s first Rainforest Alliance Certified copra, or dried coconut flesh. Results for 300 coconut producers on Rainforest Alliance Certified farms in the Philippines participating in the first wave of the project (2011-2015) have been impressive – with a 15 % increase in their incomes.